Matteo shouting 'Go, love!' is THE BEST. We all know Matteo Guidicelli as an actor + singer + multi-athlete who goes snowboarding, go-kart racing, swimming, and who participates in triathlons. He's also a fan of motocross, a sport that involves racing with dirt bikes across rough terrain that consists of steep hills and wet or muddy areas! "Go, love!" Matteo cheered as Sarah sped away on the bike. Awww, what a supportive BF! Matteo and Sarah's low-key relationship has always made us curious, and AshMatt fans were ecstatic when the two made a rare public appearance at the ABS-CBN Ball in September 2018. 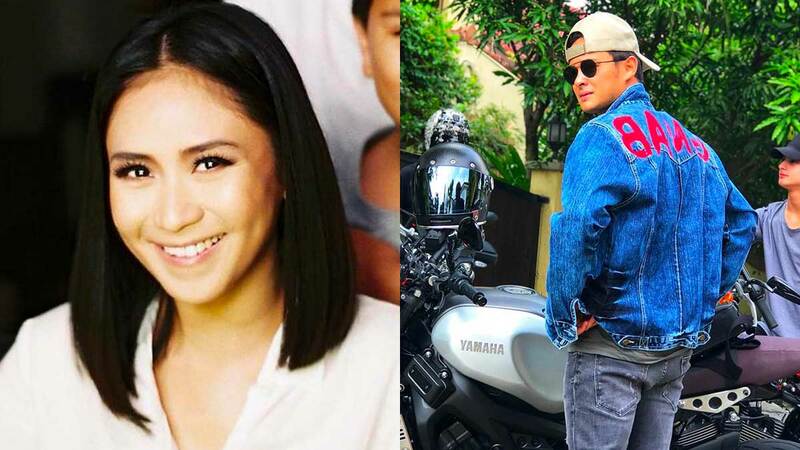 The couple also spent time with Matteo's family in Cebu for the holidays, and according to an article by PUSH, fans were even speculating that the two were engaged (this isn't the first time), based on a *new* ring Sarah was wearing. The couple will be celebrating their sixth anniversary this year.